WITH the potential for Cyclone Oma to make landfall in SE Qld and bring much-needed rain to the Northern Rivers, fire-affected residents are urged to take action immediately. NSW Rural Fire Service Superintendent Michael Brett said landowners whose homes have been covered by fire retardant or foam to protect their homes from fire, need to act now to prevent their drinking water from being contaminated. "Homes in the affected area may have been covered in retardant or foam during property protection operations," he said. "With no rain, the material may still be coating homes, so residents need to urgently act and disconnect their downpipes from water tanks to prevent their drinking water from being contaminated." Supt Brett said affected residents should get in contact with Disaster Recovery, who will help clean retardant from affected homes, and replenish water supplies if required. "This is also the case for landholders whose dams or creeks may have been affected by firefighting operations," he said. Supt Brett said the Bruxner Highway fire near Tabulam has been contained, and firefighters will continue to monitor and patrol the fireground and strengthen containment lines over coming days. While the fire has been contained, Supt Brett said residents should continue to remain vigilant and monitor the current fire situation on Fires Near Me, as the region prepares for potential cyclonic winds. Yesterday the NSW RFS announced the building impact assessment team had completed their evaluation, releasing statistics of the number of homes and outbuildings impacted by fire. 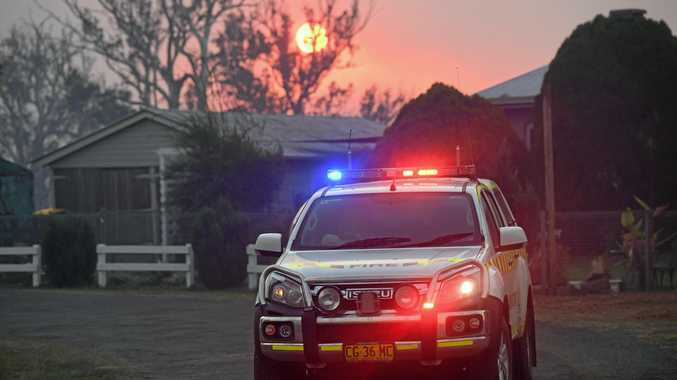 The Bruxner Highway fire burned more than 7,700 hectares and destroyed 18 homes and 49 outbuildings. 18 homes and 19 outbuildings were damaged, while 171 homes and 138 outbuildings were untouched.